I often draw inspiration and story content from sports. A little noticed story buried in a newspaper’s sports section this weekend caught my eye and got me thinking. 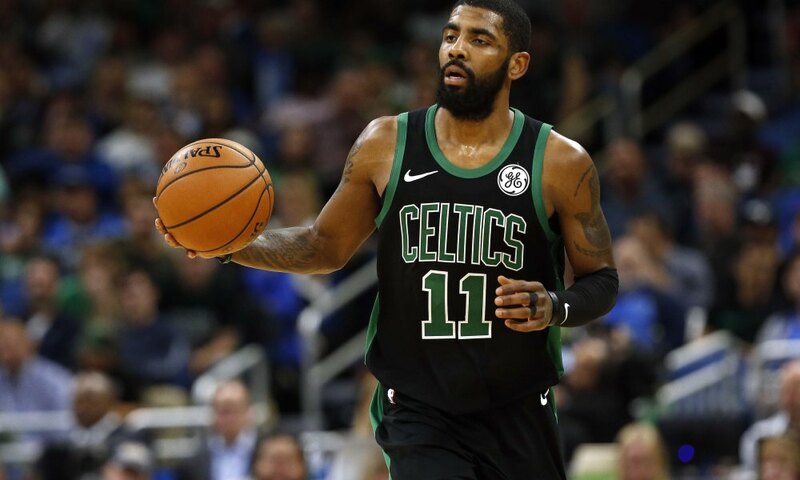 It was about Kyrie Irving – arguably the Celtic’s best player and one of the best in the NBA for the past couple of years – and something he did when no one was watching. He had just scored a team high 22 points and led his team to cut a 26 point 3rd quarter deficit to just 8, before falling short, suffering a 115-99 loss. His teammates all had showered and headed to the attractions found in South Beach, yet he was nowhere to be found by an assistant coach looking for him. The coach had some notes and lessons from the game he wanted to share, which was his post-game routine, and was told by a staffer Irving had gone to the practice facility for a workout. He was there to work on his game – wanting to find new ways to attack defenses; new ways to get his teammates in position for a pass leading to a basket; diagnosing what went wrong on certain plays and what he could do to correct it; and as always working on improving his shooting mechanics. As it turns out, this post-game workout was not his first – it was quite common - but it was the first one that became public. As word spread that Irving was in the gym working out, in a full sweat, after an intense game, a small crowd of Miami players and their family members gathered, marveling at what separates Irving from others. By NBA standards, he is already accomplished – great, even – but that is not enough for him. It reminded me of stories of Larry Bird, and even Tiger Woods, and others considered ‘great’ at their craft. Bird would often run laps around the concourse of the Boston Garden before games, imagining an opponent working harder than him to motivate him to push himself. And he was legendary for working for hours on an aspect of his game that he felt needed improvement. Tiger Woods would spend hours and hours hitting golf balls in practices, even after matches, to refine his swing, or work on slight imperfections. He’d not just hit balls. He’d hit balls with a goal of getting 80% inside 20 feet of his target. Even the great Warren Buffet is said to spend hours and hours reviewing financial statements of potential investment targets. There are others: Brady. Betts. Ortiz. Even Bobby Orr. And more. So it got me thinking of what could be learned from this window into greatness. An observer of Irving’s workout described him as ‘committed’ to his game, and willing to practice it time and time again, and even – surprisingly – after a game, and when no one was around to see it. It seems the commonality among the greats was to not accept what they had done in the past and setting out to improve some aspect of their performance to ensure better outcomes. And in so doing, subjecting themselves to an enormous amount of hard work over many years – and not just any old hard work but work that was demanding and painful. Which was what Irving was doing: it was a few short minutes after having played most of a basketball game that is painful to his bad knees, yet there he was putting himself through drill after drill for an intense 30 minutes to sharpen his skills and improve ever so slightly to be better prepared for the next game. Getting a slight edge. And giving us a window into the difference between the great and the good, and the legends and the greats: not resting on laurels/past achievements, then doing hard, demanding, painful work, with a purpose. In the two weeks between the Patriot’s last regular season game and yesterday’s game against the Chargers, there were reports of Brady bringing in his own ‘throwing’ coach to work with him. Already considered the greatest of all time (the GOAT), looking to get better, he subjected his banged up body to hard, demanding, painful work, with a purpose. And based on his performance shredding the Chargers, it was worth it. I noticed in the article that those who gathered in the gym were marveling at what they saw; they were witnesses; some thought themselves unworthy to have a front row seat to greatness. And that is what we’ve been in the past 20 years of Boston sports – witnesses to greatness – which is an awesome gift on its own. But in Irving’s story, and the window into greatness it gave us, we were given an even greater gift if we chose it: being inspired by it, and resolving to not rest on what we did yesterday, and instead, investing today in the hard, demanding, painful work of continually improving. It could be a GREAT way to start the New Year!